The Nuremberg-based automatization expert Baumüller will be displaying its exhibits in line with the guiding theme of the trade fair "Integrated Industry – Creating Value" at the Hanover Trade Fair from April 24-28, 2017 in hall 14, stand H12. The visitors will experience the added value of Industry 4.0 solutions based on numerous features for smart production: from an integrated system for predictive maintenance to the web-capable visualization for quick commissioning and flexible adaptations in the production process. Two networked material handling and robot systems at the trade fair stand will show how production is optimized through networking. The palletizing process of the 3-axle material handling system and the welding of the robot occurs in one process. The communication occurs via a Euromap 67 interface. 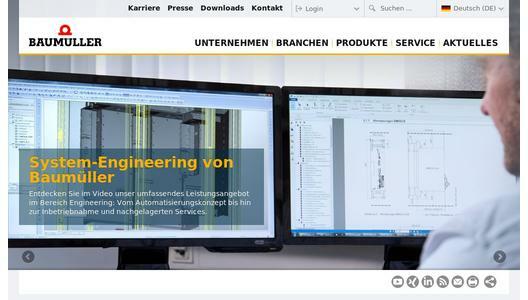 Both systems are complete solutions from Baumüller, from the control software to the drive. Baumüller thus shows how machine modules can be optimally automated for the production process and also flexibly automated depending on the application. 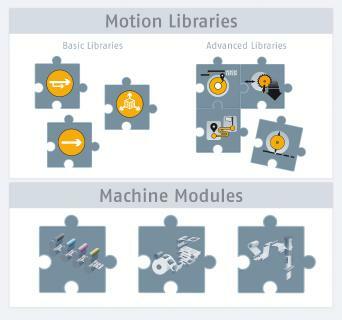 The individual modules can easily be combined to form complete machines and systems or also integrated into new or existing systems. In the service area, Baumüller offers networking via sensor-based machine monitoring that can be coupled by machinery manufacturers or users with different service models. The condition monitoring system improves the availability of machines and reduces the costs for service and maintenance. This solution is also presented at the trade fair booth as part of the overall package. With the new generation of box PCs b maXX PCC04, Baumüller is providing a new scalable and versatile control platform to users. 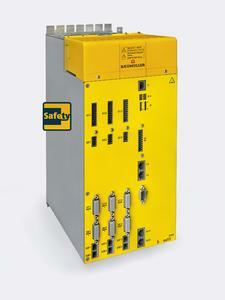 The industry PC offers a large amount of interfaces, is expandable and thus enables a flexible machine construction. The networking of man, machine or sensors is increasing in the industrial sector. The innovations promote a highly efficient, intelligent and flexible production. However the thread of cyber criminality is rising with this trend. To protect industrial security, Baumüller offers a secure solution for the remote maintenance of machines and systems with Ubiquity: The Ubiquity runtime environment is pre-installed in all Windows-based HMIs from Baumüller and can be connected with a domain. With Ubiquity, Baumüller is providing its customers with an ability to communicate for process control and an option for easy and secure remote maintenance. The state of machines can thus be monitored worldwide and quickly responded to in a targeted manner if necessary. This capability of quick and accurate diagnostics and troubleshooting saves time and money. 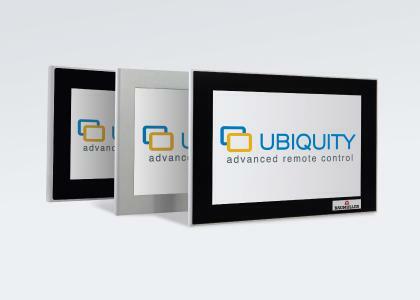 Ubiquity thus increases the productivity and efficiency of machines. An innovation in the field of service is BAUDIS IoT, the predictive maintenance system with comprehensive possibilities. The networked system consists of a broad overview of sensors, a BAUDIS IoT box and software with big data algorithms. The data is recorded via local sensors on the drive. They record the motor state and can thus report bearing damage, for example. 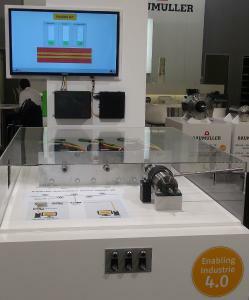 With the Baumüller solution, the recorded data is distributed via the BAUDIS IoT box. The system can be used independently of the manufacturer of the automation components and the sensors and therefore can easily be retrofitted. 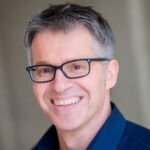 BAUDIS IoT, actually used for predictive maintenance, creates far greater added value through big data analysis. In general, machine and system availability in production is thus maximized through planned maintenance measures for all kinds of electric drive systems. But BAUDIS IoT can do much more than that. The big data analysis used for the servicing can also be used to optimize processes. Since the system provides a warning in cases of need, the monitoring can be used to optimize the rate increases and load limits of the production systems without damaging the systems. The networking of plants and locations to one evaluation unit also allows for comparisons, which is another added benefit. The long-term collection and evaluation of data allows for the drive specialist to detect and implement optimization potential more effectively. The evaluation always occurs with the latest available algorithms. The system is thus continuously made more intelligent and increases productivity through self-regulating processes in order to avoid production errors. Using the example of a foil bag machine, which is automated by Baumüller engineering specialists and is equipped with a complete Baumüller system from the control unit to the drive, the automation and drive manufacturer shows how machine modules can be optimally automated for the individual application and easily projected into complete machines and systems. The servomotor series DSH, which impresses as a derivative of the compact servomotor series DSC with an extremely low detent torque, has been on the market since the end of 2016. In combination with the Baumüller drive technology, the DSH is suitable for applications that require very high precision and optimal control accuracy. Upgrades in terms of performance and rotational speed in the servo motors DS2 and the high-torque series DST2 will be introduced in the motor portfolio. 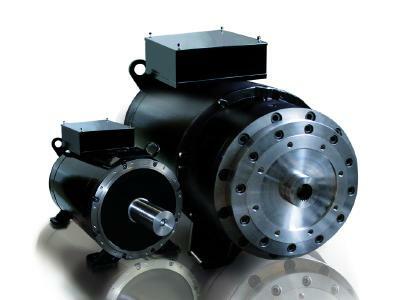 With one of the broadest offerings of motors on the market, in addition to different high-torque motors Baumüller also offers efficient and scalable servomotors as well as main drives in numerous versions and sizes. There are also new arrivals in the areas of drive technology. The b maXX 5800 can control up to six axes independently from one another. For example, gantry axes can be controlled within one computer unit. This means that this solution does not require field bus communication between the axes and enables extremely fast communication and response times of 62.5 µs. The dead times of field bus communication as well as following errors are omitted and dynamics and accuracy are increased. Another product highlight is the intelligent local servo drive b maXX 2500. With the b maXX 2500, Baumüller has combined its proven b maXX 3300 converter series with the robust DSD2, DSC and DSP1 servo motors, thereby creating a compact drive with integrated electronics for the high-end range. The b maXX 2500 offers integrated safety technology and can be flexibly integrated into networked drive structures via a large number of supported fieldbus systems.